now in our Vacation Drop Zone! ¡See you in the beach! Among our STAFF is talent that has broken world records and competes successfully abroad. Puerto Escondido is a remote paradise in the south coast of Mexico, surrounded by beautiful nature, it is known for it’s famous pipes, awesome weather, exquisite food, great nightlife, warm hospitality and over all laid back atmosphere. It’s been a “must” for back-packers, surfers and skydivers over the past 20 years. This Year’s Boogie is boosted with a Super Twin Otter, along with world-renowned organizers from different disciplines so the coaching vibe is for sure going to be fresh, dynamic, young and energetic, this ensures great time up in the air and in the ground. 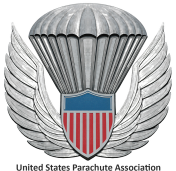 Open Parachute piloting 8 minutes. 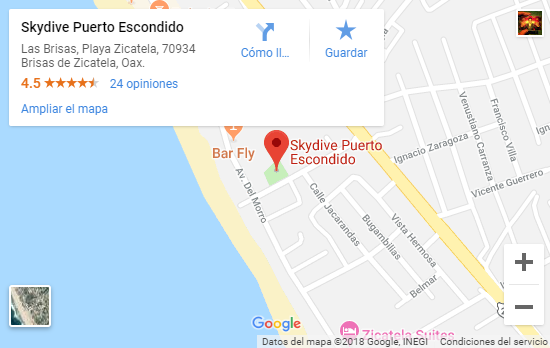 Las Brisas, Playa Zicatela, 70934 Brisas de Zicatela, Oax.